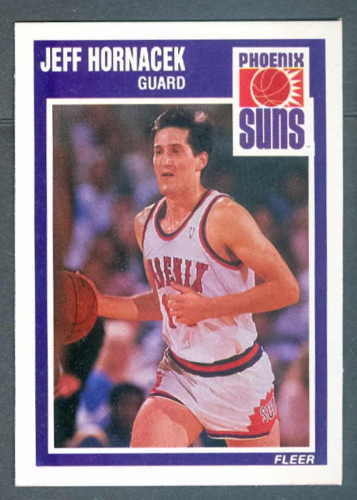 1989-90 Fleer Rookie Card of former NBA star shooting guard Jeff Hornacek (#121). NrMt-Mt or better. ONLY FIVE AVAILABLE FOR SALE.